View the threads NativePlantFan9 has started. Leave feedback for NativePlantFan9 or read feedback left by other members. View the member feedback NativePlantFan9 has written of others. 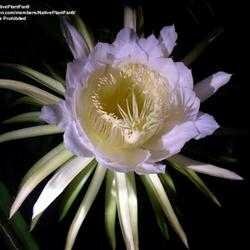 "Night-blooming Cereus (Hylocereus undatus), cultivated for it's amazing noctural flowers and tasty "dragonfruits" throughout warm worldwide regions."